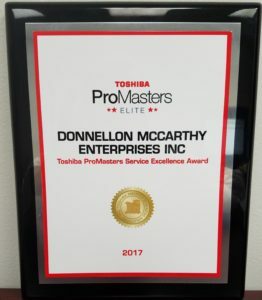 Donnellon McCarthy Enterprises is proud to be a 2017 Toshiba ProMasters Elite Dealer! When you rely on a Toshiba ProMasters dealer for service and support, you’re working with a dealer committed to providing you with a total business solution to your office automation needs. Toshiba trained technicians ensure the job’s done right, the first time. A dedicated Field Service Operation ensures quick response and minimum downtime. The dedicated Service Manager matches the dealer’s support to the customer’s needs. Customer relations training supports a positive long-term working relationship. Preventive maintenance reduces system downtime and reduces operating expenses. Random appraisals assure you that your machines are being correctly maintained, on the proper schedule, and according to the prescribed specifications. Dealer parts inventories expedite service and help to ensure your copier or facsimile will be repaired quickly. Online computer systems allow the ProMasters dealer to provide service and support you need in the most efficient and responsive manner possible. Constant evaluation guarantees service excellence. By choosing to work with a Toshiba ProMasters dealer, you are helping to ensure the smooth, uninterrupted operation of your business. You are taking advantage of the best service and support program of its kind in the industry. And, you are subscribing to a total business solution. 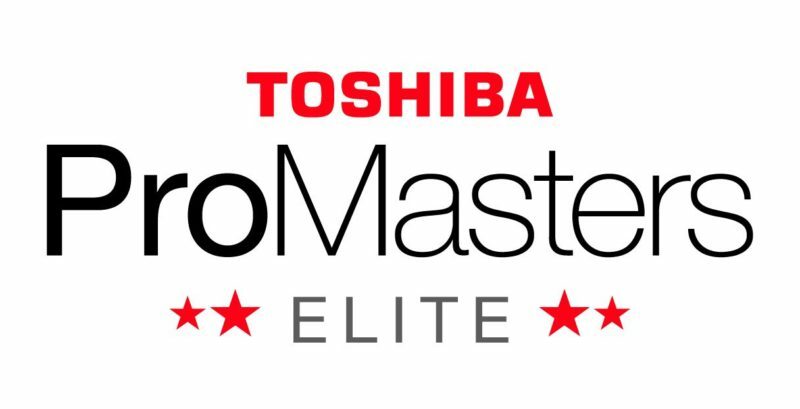 Toshiba ProMasters… there for you before, during, and most importantly, after you buy our products.